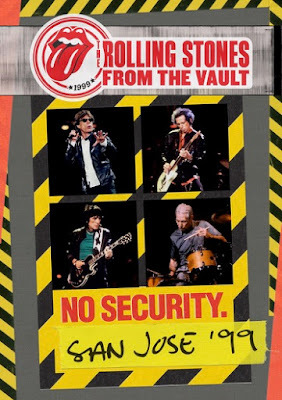 The Rolling Stones will release “From The Vault: No Security - San Jose 1999” via multiple formats on July 13. The iconic band were captured in concert during the closing leg of an American trek in support of their 1998 live set, “No Security”, which was recorded over the course of the group's 1997–1998 worldwide Bridges To Babylon Tour. Essentially a mostly arena-sized continuation of the Bridges run, the No Security tour played more than 40 dates in North America and Europe while grossing $88.5 million from over a million tickets sold. The Rolling Stones will return to live action when they launch the No Filter European tour at Croke Park in Dublin, Ireland on May 17.